In March of 2016, Welbilt, then called Manitowoc Foodservice, spun off from The Manitowoc Company to become a fully independent publicly traded company. 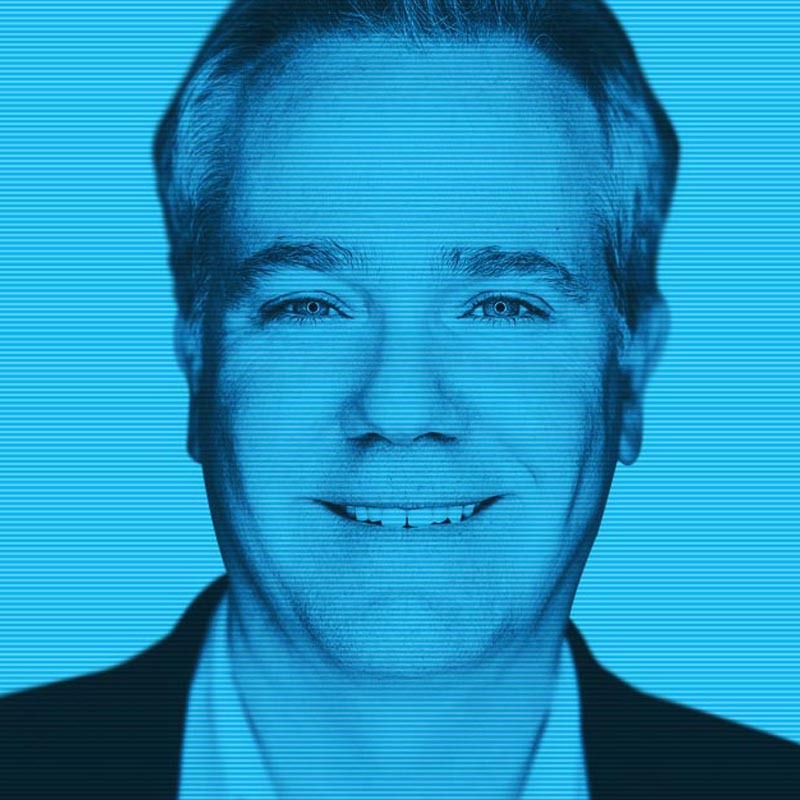 The new era posed an exciting opportunity for the new entity to chart its own path towards growth and innovation, but it also raised a number of critical questions. Shortly after the spin-off event, Manitowoc Foodservice partnered with Vivaldi to help re-establish the corporate brand strategy and identity, ground them in the more focused industry of foodservice equipment, and support the organizational transformation underway. We were excited to work with one the most robust end-to-end product-portfolios in the foodservice equipment industry and to have the opportunity to help build a portfolio and corporate brand that was more valuable than the sum of its individual parts. Working hand-in-hand with the team at Manitowoc Foodservice, Vivaldi interviewed customers and rolled out a global survey to understand the product-brands’ existing equities and to identify relevant opportunities for the corporate brand. One opportunity, in particular, stood out: making end-customers’, restaurant-operators', lives easier and simpler by bringing a solutions approach to commercial kitchens, while drawing on the corporate brand’s rich legacy history in foodservice. The Vivaldi team didn’t stop at the corporate repositioning. We extended this new simplified, solution systems approach and renewed customer-centricity to develop a new product portfolio structure based on the customer’s kitchen workflow. Lastly, to create further separation from the former holding company, a new corporate brand name was required to match the new brand positioning. 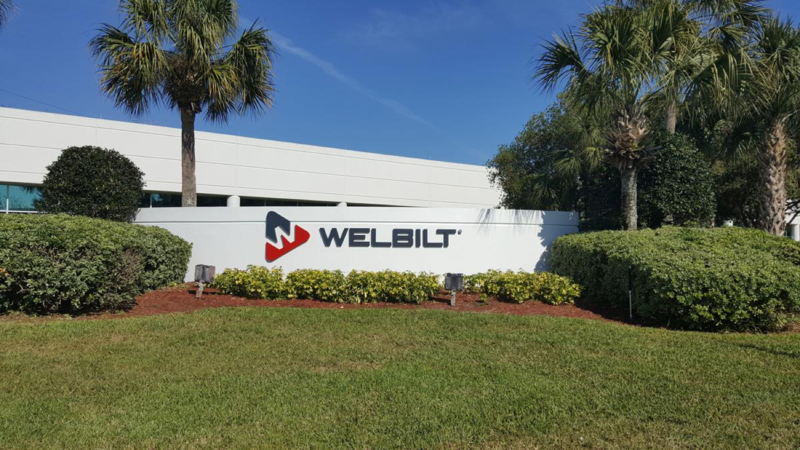 The Webilt name is both a nod to the company’s rich history and a clear signal to an exciting new future. Vivaldi helped the Welbilt team bring the new brand to life through a new visual identity system, and supported its rollout less than 9 months after kicking off the initial work. 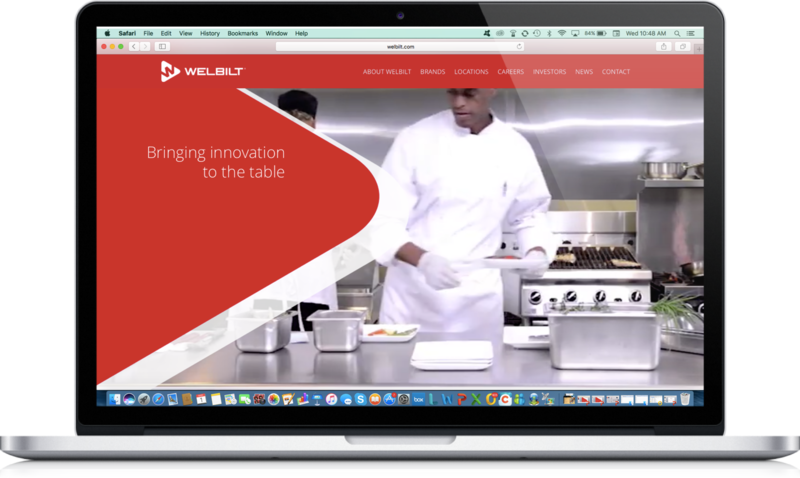 The new Welbilt brand was extremely well received, with a special mention for the icon color coding which reinforces the customer kitchen workflow and, for the first time, creates a strong linkage between the global product brands and the corporate brand. 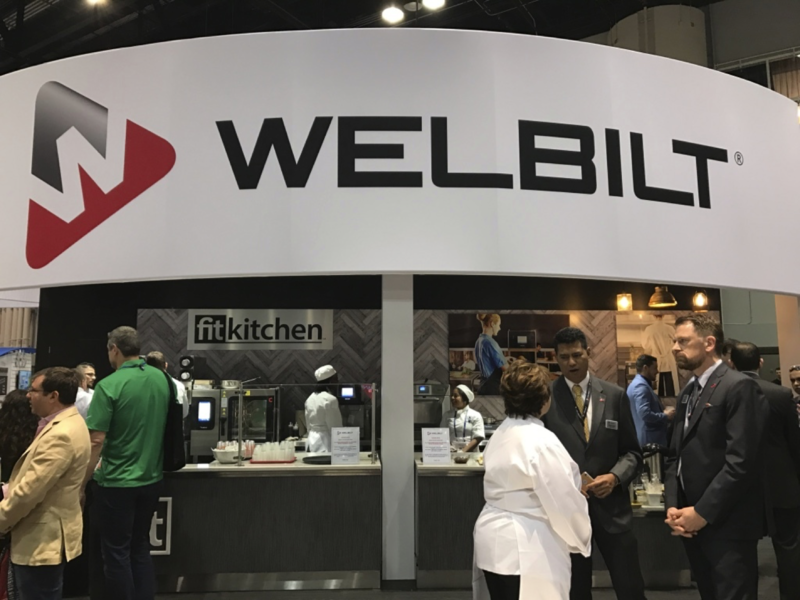 Less than 9 months after starting the initial corporate brand strategy engagement, the new Welbilt brand was launched to the world at the 2017 NAFEM tradeshow, one of the industry’s largest shows. Since the spin-off, the Welbilt stock price has risen over 55% (as of May 9th, 2017).